Join the LaRouchePAC’s fight to revive the space program, led by Kesha Rogers, as the key and indispensable driver to save the United States. Begin by educating yourself with the material on this webpage, and work with Kesha to make it happen. Now the United States faces a critical decision which will determine the future of our nation. Will we continue to go along with the dying policy of the trans-Atlantic system, which is a policy of death for our U.S. economy at the hands of the bankrupt Wall Street financial institutions and the destructive policies of the last four terms of the Bush and Obama Administrations? Or, will we restore a national mission and vision for the future of our nation, to once again lead the world in scientific and economic progress?...The greatest tool that we have in the United States for bringing about that renewed mission and renewed optimism for our nation, is fully launching a revival of our national space program, with all its irreplaceable contributions to scientific and economic progress. Imagine that the first human had set foot on Mars in 1984, as was planned by the people who put man on the Moon just 15 years earlier. 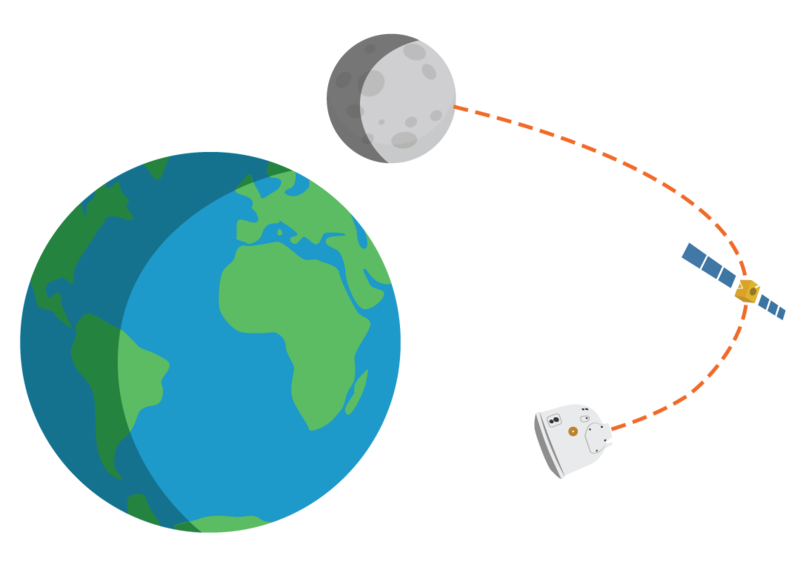 Imagine that the rocket that took the first crew there was constructed in lunar orbit by a team based in a large orbiting space station—one of several—from which the crew and their rocket departed. 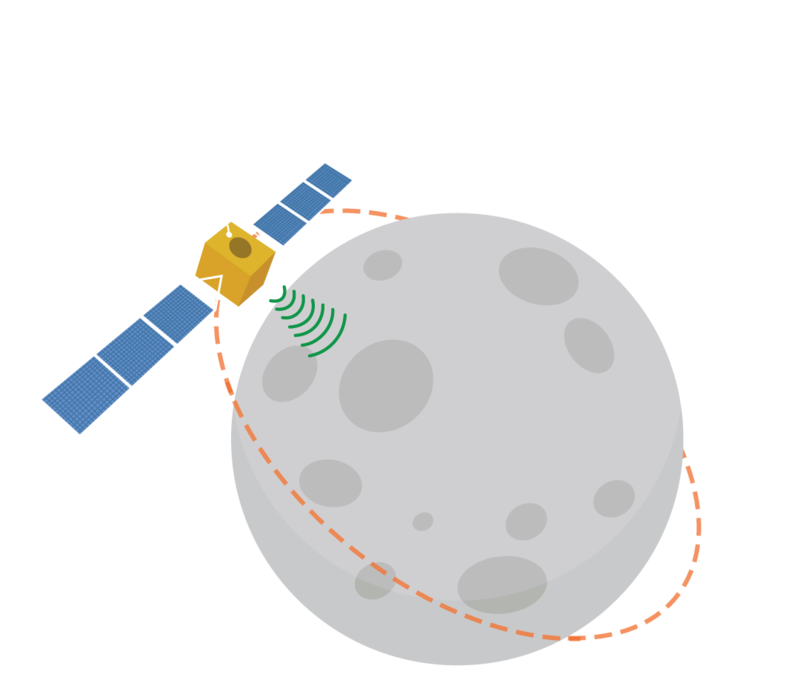 Imagine that robust mining and manufacturing operations on the Moon had provided some of the key structural components of that rocket, and that the trip to Mars was powered by a nuclear rocket engine. Imagine where we as mankind could have been today, 30 years later, had we achieved those goals. Would we be facing something so juvenile as the existential threat of economic collapse and world war that hangs over our heads today? Those who have adopted the outlook of empire, such as the criminal occupants of Wall St., or the green ideologues who cry “limited resources!” will disagree; but they are wrong. 1. Nobody and nothing under the natural laws of this universe impose any limitations on man, except man himself. 2. Not only the Earth, but the entire Solar System, and as much of the universe as he can reach under the laws of nature, are man’s rightful field of activity. Man creates his own future through discoveries of higher and more powerful principles than those he wielded before. Compared to mankind of the middle ages, or of the 18th century, we as a species are a mighty geological force, with powers to cause change and development, and to sustain human life which simply didn’t exist before. What this means for us today, if we want to survive, is that a new paradigm must take the place (and is already) of the collapsed British Empire system, based on cooperation among nations for shared great achievements which advance man’s mastery of new fundamental physical principles, and their implementation in the form of new technologies. That is the only legitimate basis for an economic system. The space program must lead the way to the future, beginning with the farside of the Moon. Mankind has never landed anything—robot or human—on the lunar farside. Yet that location promises to tell us more about the history of the development of our Solar system with its unique geology than anything we can access on Earth; and as a radio astronomy observatory, it will give us a glimpse into features of the Solar system, Milky Way galaxy and far distant galaxies which are simply impossible to see from Earth or Earth orbit. What new discoveries about the principle of our galaxy, and of galactic systems in general, will originate from the first teams of scientists stationed on the Moon? The Moon (and perhaps the farside in particular) also demolishes the idea that there are limited resources! An abundant depository of fuel for nuclear fusion—helium-3—the Moon can provide power for billions of people for hundreds, or even thousand of years. Developing the Moon’s resources will cause a revolutionary leap—both quantitatively and qualitatively—in power wielded per capita through our mastery of the principles of nuclear fusion, and in the new discoveries we make by living and working there. While the space program in the United States has been under vicious attack and shutdown by Obama since 2010, during the same time period, China has put two probes in orbit around the Moon, and landed the first rover on the surface since 1976! China will return samples of lunar soil and rocks to Earth in 2017, and in 2018, they will do what has never been done before: land a rover on the lunar farside! China’s clearly-stated mission is to pursue the development of helium-3 on the Moon, set up radio observatories on the lunar farside, and by 2036, to send people to set foot on the lunar surface for the first time since 1972! Mapping of abundance of chemical elements. Assessment of depth & characteristics of lunar soil. Recording of data on solar wind between Earth and Moon. Mapping of surface with higher resolution (down to 1 m) than CE-1, to select future CE-3 landing site. Flew within 15 km of surface. Tested communication & tracking technologies. Telescope for observing galaxies and other celestial objects from the Moon, down to very dim magnitudes. "Yutu" Rover: Ground penetrating radar measurment of lunar subsurface, up to several hundred meters down. "Yutu" Rover: Analysis of lunar soil samples by spectrometers. Discovery of new type of basaltic rock. First ever landing (robotic or manned) on lunar farside. Satellite positioned at L2 to relay communications between farside and Earth. Possibility of very low frequency radio astronomy observations. Looped around the Moon and returned to Earth. Capsule carried instruments testing communications and radiation levels throughout orbit. Also carried bacteria and plants for radiation exposure experiment. And China is not looking to do this alone; they have offered cooperation to any nation who wants to join them. In fact, with the U.S. experience in space exploration, there is much that the U.S. uniquely can offer to an international effort in space development. 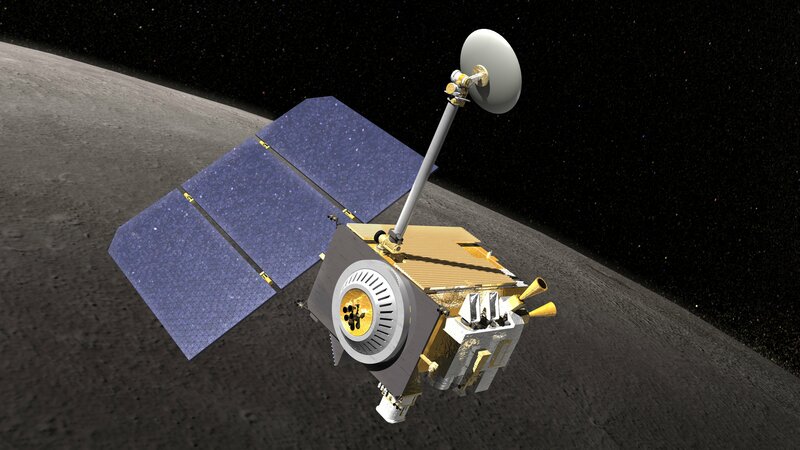 A depiction of NASA's Lunar Reconnaissance Orbiter. 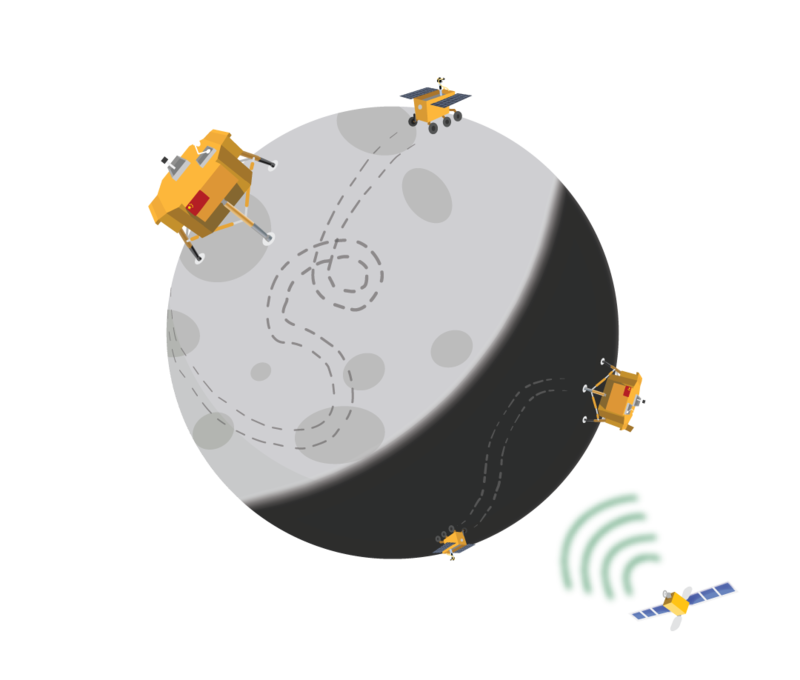 The LRO is carrying out detailed mappings of the lunar surface, including a 3D surface map, scouting for resources, a topographic map, detecting the radiation environment, etc. 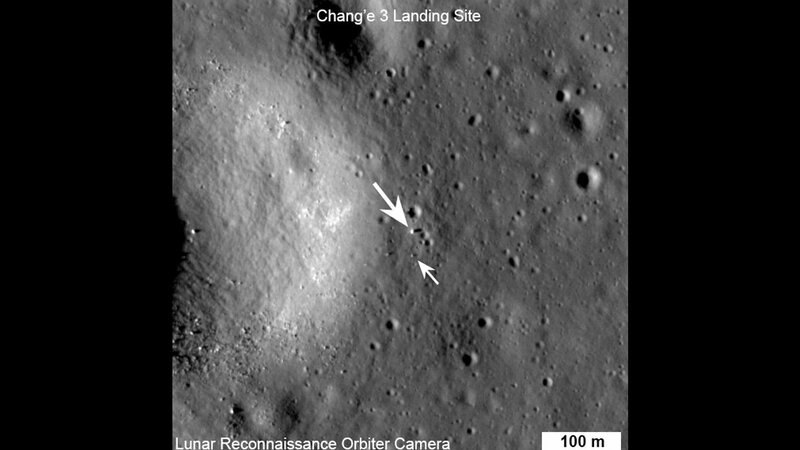 The LRO imaged the landing site of China's Chang'e 3 lander in 2013, shortly after its arrival, and twice in 2014. 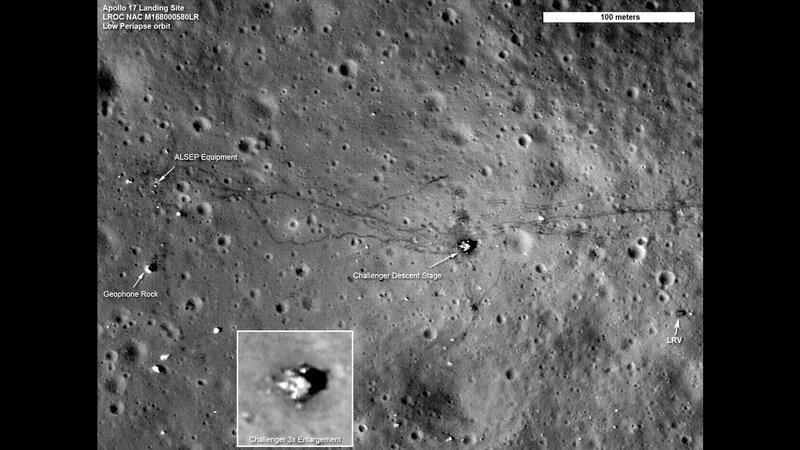 The Apollo 17 landing site, complete with tracks of the Lunar Roving Vehicle, foot tracks of the astronauts, the "Challenger" descent stage, and other equipment. 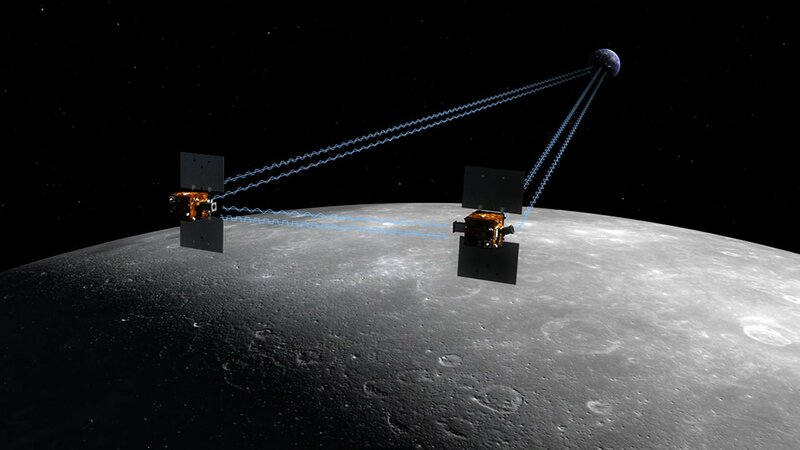 The GRAIL mission (one-year mission from December 2011-2012) consisted of two orbiters flying in tight formation, which made a mapping of the Moon's gravitational field, among other studies. 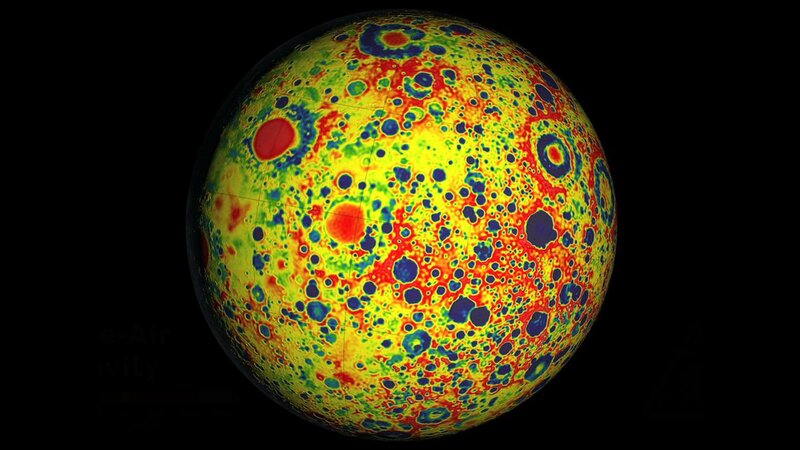 A detailed mapping of variations in the Moon's gravitation field, made by GRAIL. While Obama first earned his Hitler mustache for his Nazi healthcare program, he earned his first count of impeachment for the 2010 cancellation of the manned spaceflight program. This can quickly be reversed. 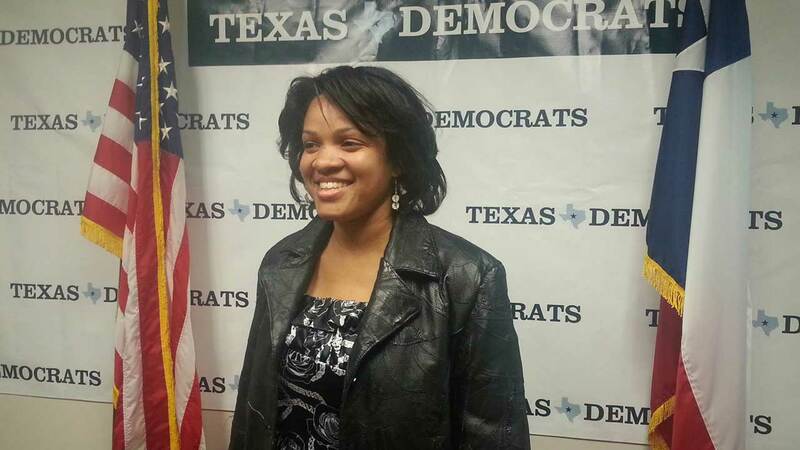 LaRouchePAC Policy Committee member Kesha Rogers is leading the fight to oust Obama, and to restore our space program as the top national priority. Kesha ran three campaigns for federal office, winning the Democratic primary for House of Representatives of Texas’ 22nd district in both 2010 and 2012, and running a close campaign for Senate in 2014, on the platform of impeaching Obama and saving NASA. 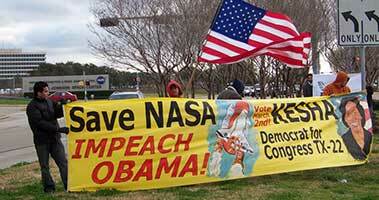 “Save NASA, Impeach Obama” is launched! 62,000 Votes for Kesha's "Save NASA, Impeach Obama"
Challenging every “rule” in the book, Kesha defies party politics and leads the country in calling for Obama's impeachment. The Democrats suffer heavy losses in the mid-term elections, while Kesha—a Democrat in Texas—earns 30% of the vote (62,082 votes) to incumbent republican Pete Olson’s 67%. 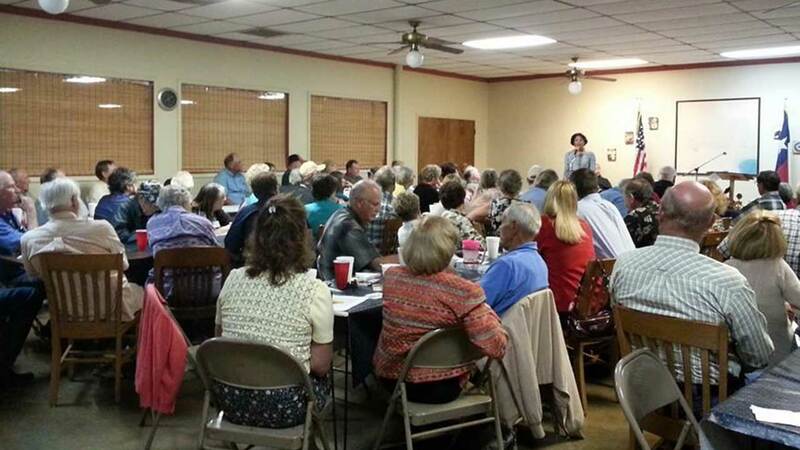 While Republicans and Democrats alike continue to protect Obama, standing idly by as vital U.S. aerospace industry capacity is shut down, Kesha launches a second congressional campaign for TX-22, putting the restoration of Glass-Steagall and a national space renaissance together as a bold package for a U.S. recovery. 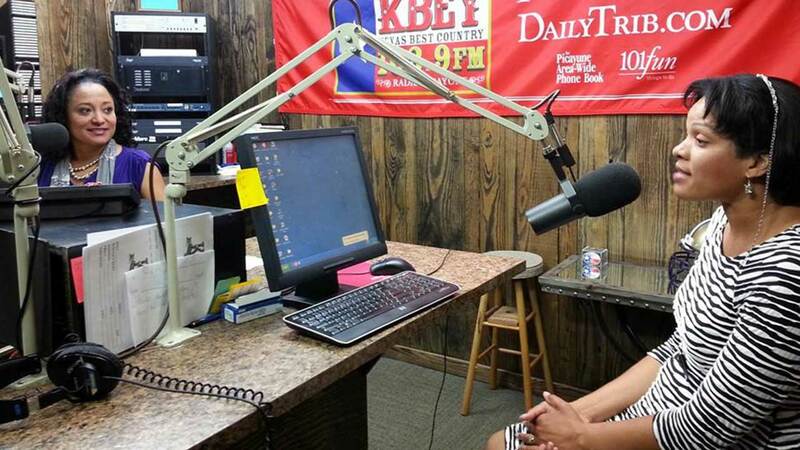 Again, the people of the 22nd congressional district respond loud and clear: “Save NASA, Impeach Obama!” Kesha becomes the Democratic nominee for the 22nd congressional district for a second time in a row, again with over 50% of the vote. Come November, Kesha receives the most support from the population of her entire campaign, earning over 80,000 votes in the general election. 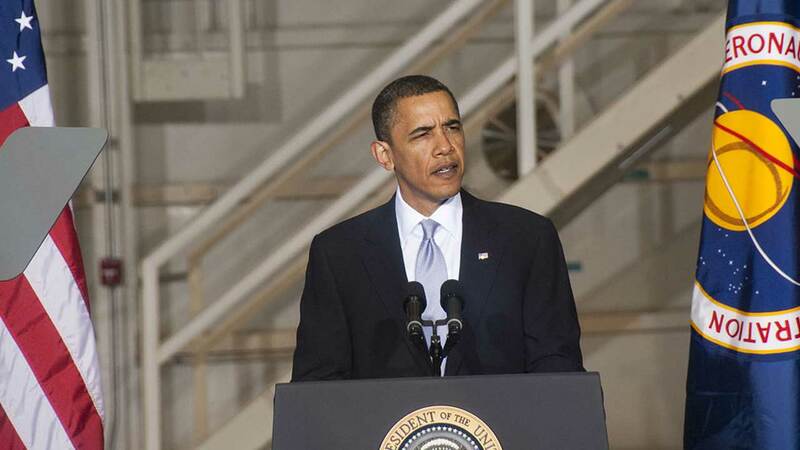 While Obama's approval ratings plummet, the Congress' aren't far behind. It's clear both parties are stuck in a Wall Street dominated paradigm, so Kesha takes her fight statewide, announcing her bid for U.S. Senate. Despite party hacks working overtime to try to stop Kesha, she wins 21% in the primary, forcing multi-millionaire David Alameel into a run-off for the Democratic nomination for U.S. Senate. In the chaos of the Presidential elections, Kesha campaigns to bring together the remaining intelligent and skilled members of the space community to think big and remind Americans what man’s role is in the universe. Today, Kesha is calling on all citizens to stand up on their hind legs and demand our space program back! Stop tolerating the idea that Wall St. money represents national wealth! Instead, adopt a truly human identity, with a mission to contribute to the advancement of all mankind. To that effect, Kesha and the LaRouchePAC are circulating a white paper entitled, “Principles and Boundary Conditions of a New Space Program”. Only a mission such as this can inspire the nation once again—particularly our young people, large numbers of whom are currently dying through drug overdoses, suicide, and other diseases of a “no future” society—to dedicate themselves to making a contribution toward uplifting mankind as a whole to new, higher capabilities. That commitment—not economic collapse and perpetual war—must be the U.S. offering to the rest of the world. Why do we need a space program? Because we’re human, and humans are a species capable of perpetual progress.